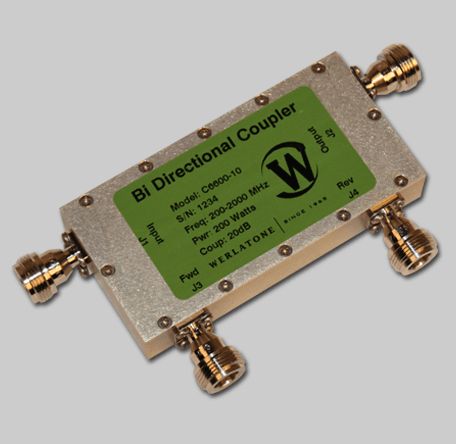 Model C6600 is a 20 dB Bi-Directional Coupler which covers the full 200-2000 MHz band. Rated at 200 W CW, the C6600 operates with less than 0.25 dB of Insertion Loss across the full operating band. This compact circuit measures just 4.0 x 2.0 x 0.72" and weighs only 16 ounces. Model C6600 is a 20 dB Bi-Directional Coupler which covers the full 200-2000 MHz band. Rated at 200 W CW, the C6600 operates with less than 0.25 dB of Insertion Loss across the full operating band. This compact circuit measures just 4.0 x 2.0 x 0.72″ and weighs only 16 ounces.